Whether in summer or winter after skiing - the Salomon shoes to relax can be worn throughout the year. Especially when skiing or snowboarding, your feet usually do them hurt or you even get blisters. Then there is just the right time to put the rest of Salomon shoes. They offer the feet a comfortable fit and are regenerated. 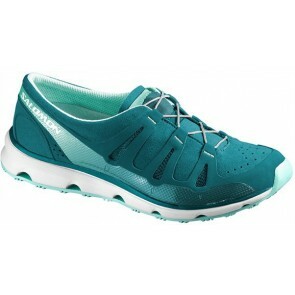 Salomon Relax shoes are ideal for both ladies before, and after exercise. Wellness at home. They are comfortable and can relax and rejuvenate the foot. Is often used for the trail running or hiking and trekking tours. Are you still looking for the right shoes to relax? In this category you will find a wide selection of comfortable shoes that are perfect for wearing after the sport. The Salomon Relax shoes can also be worn as a regular house shoe, of course. Thanks to the excellent comfort and breathability, these shoes offer a comfortable wear the whole day. Thus, your feet can relax and have all the time a pleasant climate inside the shoe.